Mucus is an important substance that helps keep you healthy. In fact, the nose and throat glands make up to two quarts of mucus every day. This moist film keeps the nose from drying out and shields the lungs from bacteria, dust, viruses, cigarette smoke and other intruders. You barely notice it's there. However, when you get sick, mucus thickens, tends to pool and becomes harder to clear out. This can make us uncomfortable. For relief, there are natural homeopathic options that work with the natural healing process in the body. Hyland's offers a non-drowsy homeopathic expectorant called Defend Cold + Mucus that provides support for the thinning and loosening of mucus in the chest, throat and nose. This product is dye free and sugar free. It does not contain artificial colors or flavors. 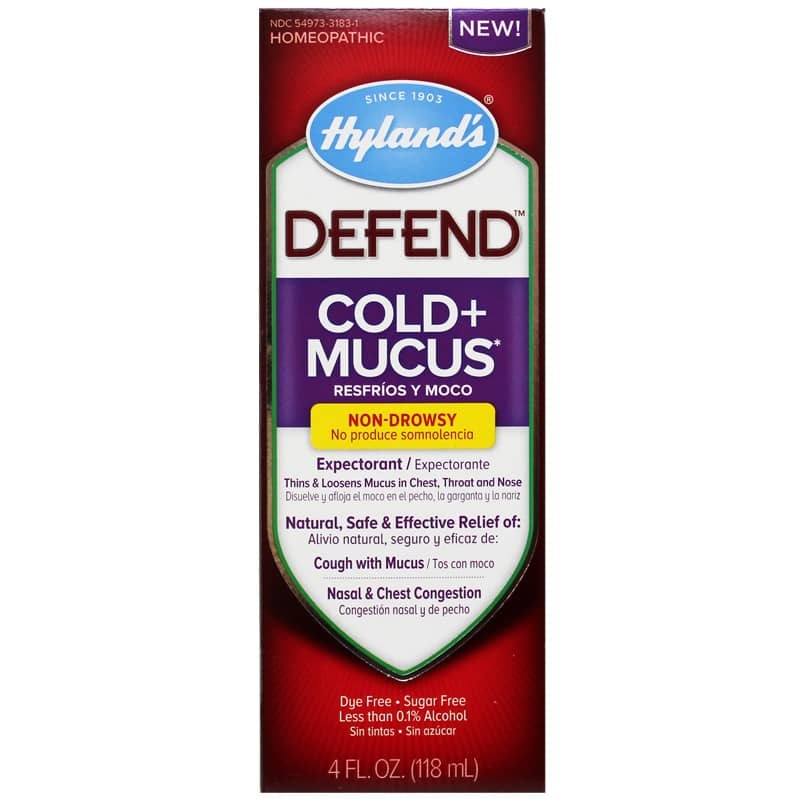 If you're looking for a non-drowsy homeopathic expectorant, check into Defend Cold + Mucus by Hyland's. Order online today! 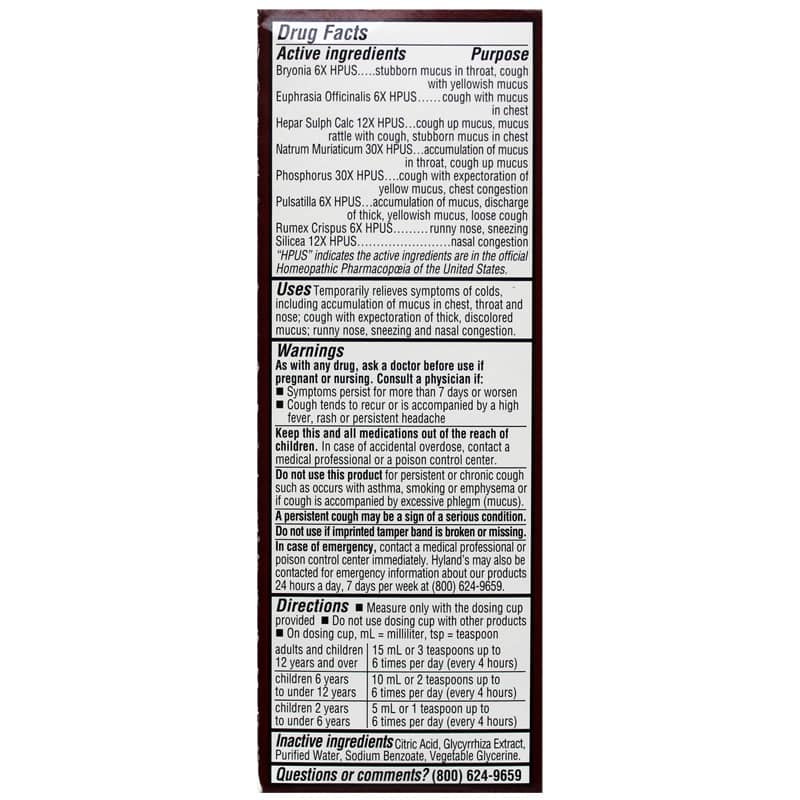 "HPUS" indicates the active ingredients are in the official Homeopathic Pharmacop+ôia of the United States. Do not use for persistent or chronic cough such as occurs with asthma, smoking or emphysema. Do not use if cough is accompanied by excessive mucus, unless directed by a licensed healthcare professional. A persistent cough may be a sign of a serious condition. Stop use and ask a doctor if: symptoms persist for more than 7 days or worsen, symptoms are accompanied by high fever (101F), or cough tends to recur or is accompanied by high fever, rash or persistent headache. Keep out of reach of children. In case of accidental overdose, get medical help or contact a Poison Control Center immediately.